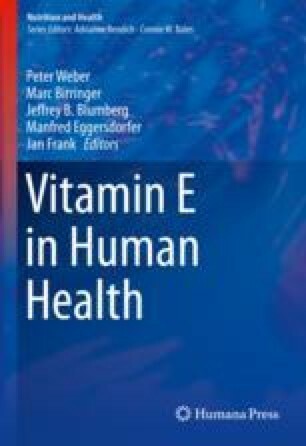 γ-Tocotrienol, a natural isoform within the vitamin E family of compounds, displays potent antiproliferative and apoptotic activity against a wide range of cancers, particularly breast cancer. A large percentage of human breast cancers characteristically display aberrant receptor tyrosine kinase activity, including receptors within the HER family, c-Met, and VEGF among others. Lipid rafts are specialized microdomains within the plasma membrane that are required for receptor tyrosine kinase dimerization, activation, and signal transduction. Recent studies demonstrate that the anticancer effects of γ-tocotrienol are associated with its accumulation in the lipid raft microdomain where it appears to interfere with the receptor tyrosine kinase dimerization and activation in human breast cancer cells. Heregulin is a potent ligand that activates HER3 and HER4 receptors, and overexpression of this ligand is associated with the development of chemotherapy resistance. Exosomes released from cancer cells are small vesicles originating from the outward budding of lipid rafts that carry various mitogenic proteins that then act locally in an autocrine/paracrine manner to stimulate cancer cell growth. However, exosomes isolated from the culture media of breast cancer cells treated with γ-tocotrienol contain significantly less heregulin content and are significantly less potent in stimulating HER3/HER4 heterodimerization, activation, and mitogenic signaling, as compared to exosomes isolated from the culture media of breast cancer cells grown in control media. These findings provide strong evidence that the anticancer effects of γ-tocotrienol result, at least in part, by directly disrupting lipid raft integrity by directly interfering with HER receptor dimerization and signaling within the lipid rafts and indirectly by reducing exosome heregulin content and subsequent autocrine/paracrine mitogenic stimulation.